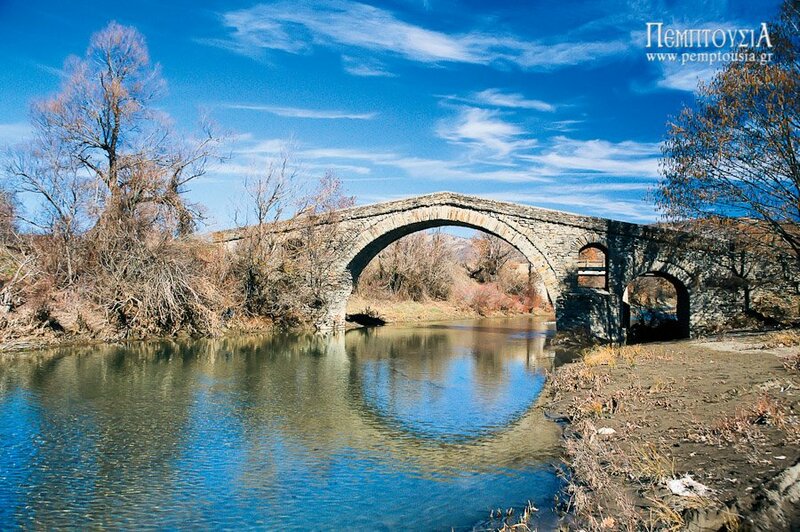 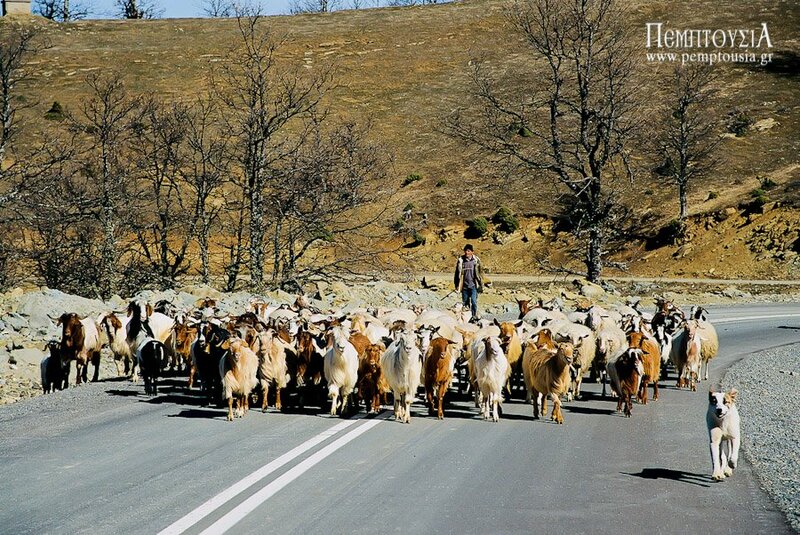 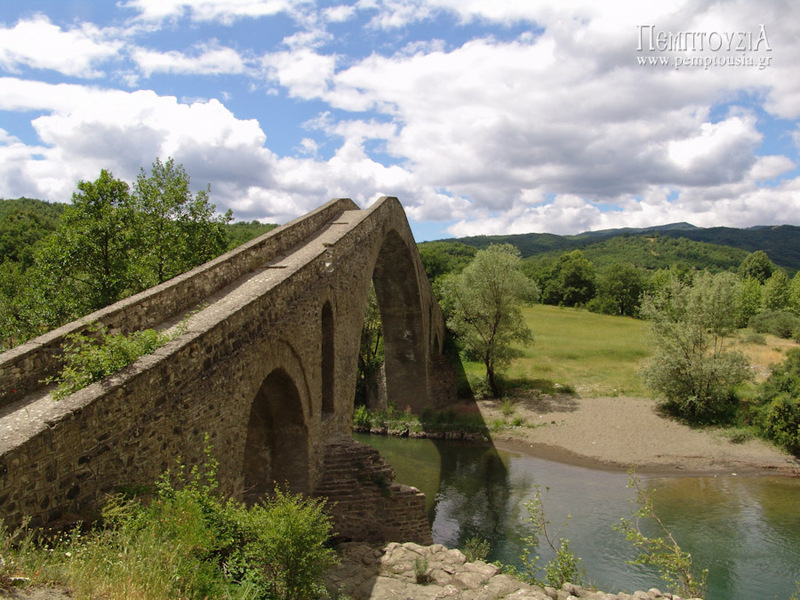 Photo Gallery - The stone bridges of Grevena. 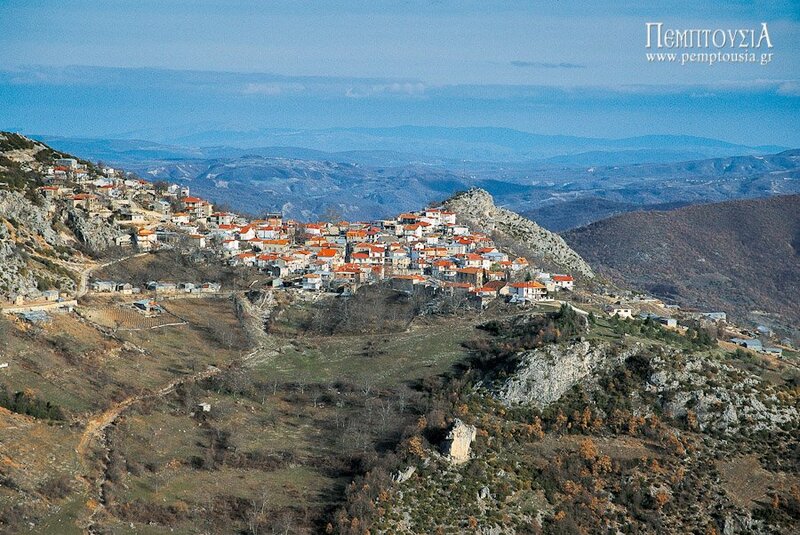 The village of Spilaio. 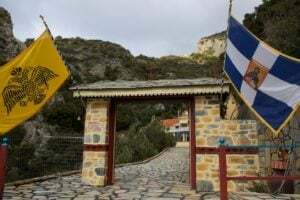 You set off from here to get to the bridge of Portitisa. 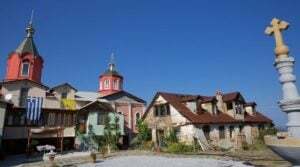 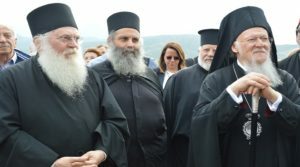 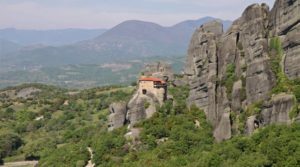 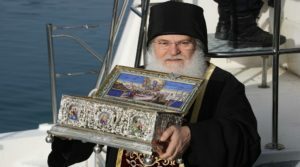 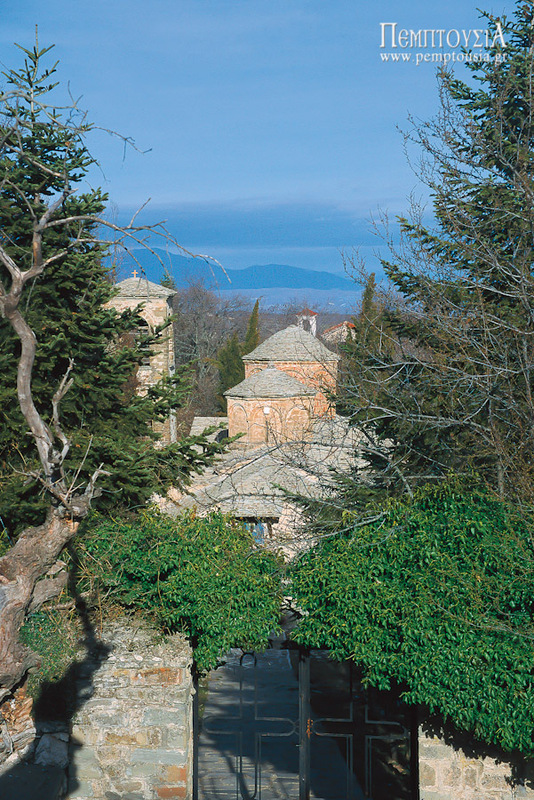 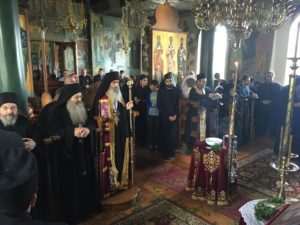 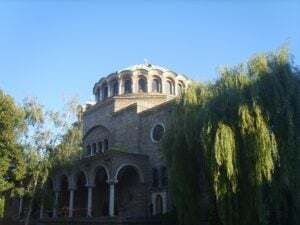 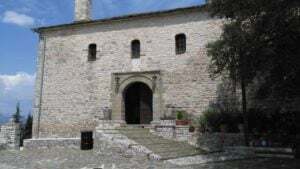 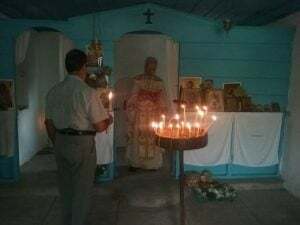 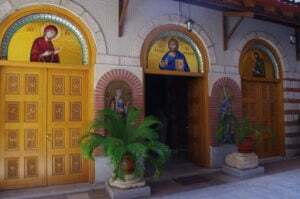 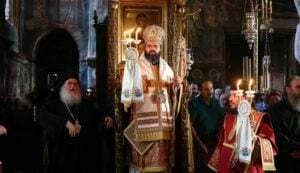 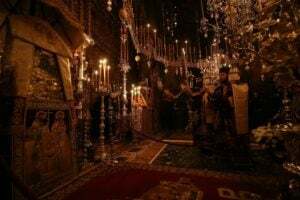 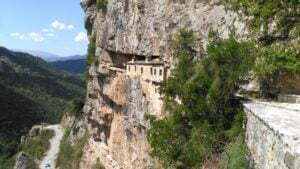 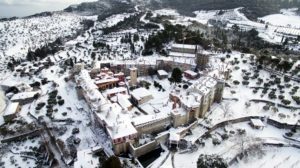 According to oral tradition, Saint Kosmas Aitolos (1714-1779) twice visited the monastery of Our Lady, in Spilaio and founded a school which worked for a good number of years, unbeknownst to the occupying Turks. 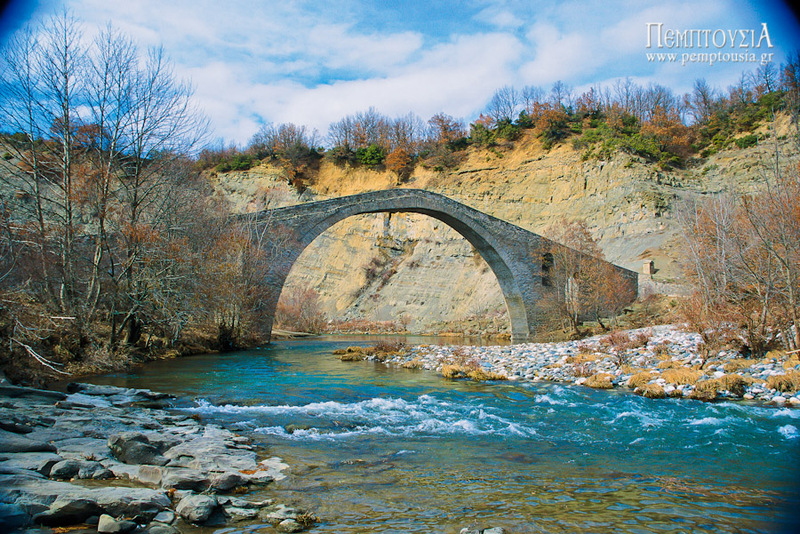 As you descend from Spilaio to the bridge at Portitsa, the view is breathtaking. 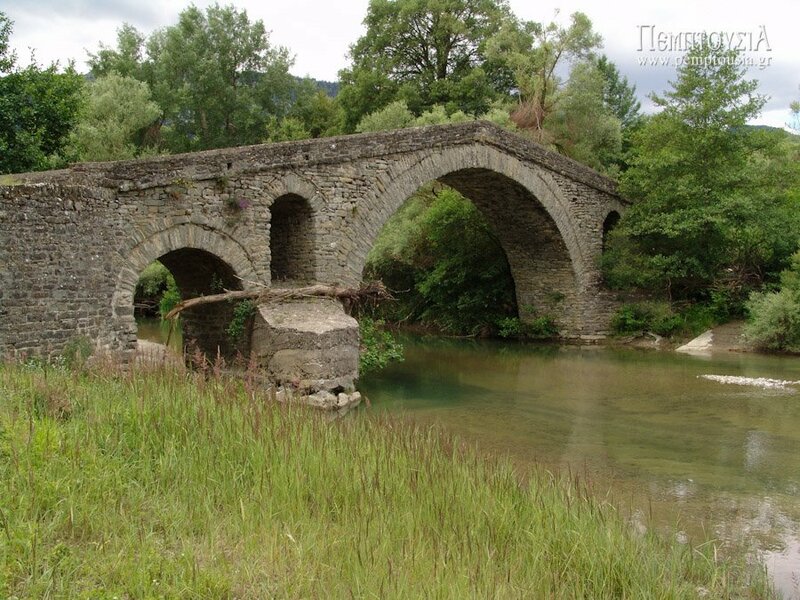 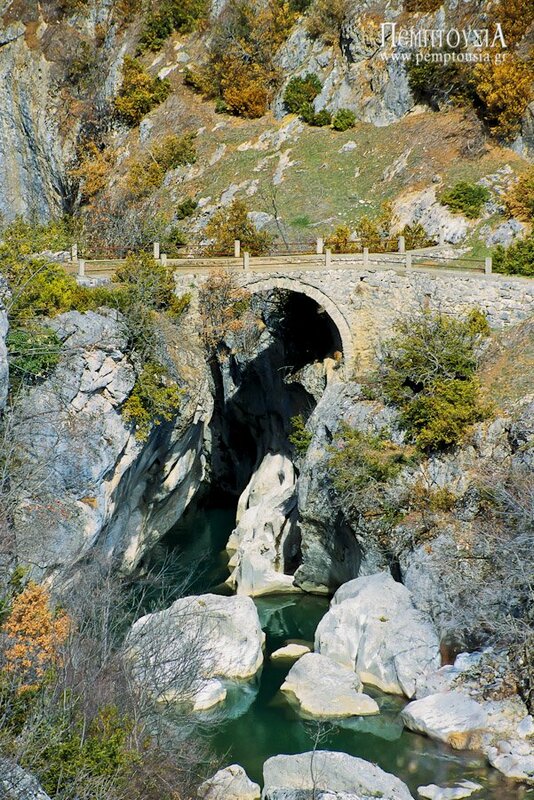 The bridge at Portitsa takes its name from the fact that it’s at the gateway (‘porta’) of a ravine. 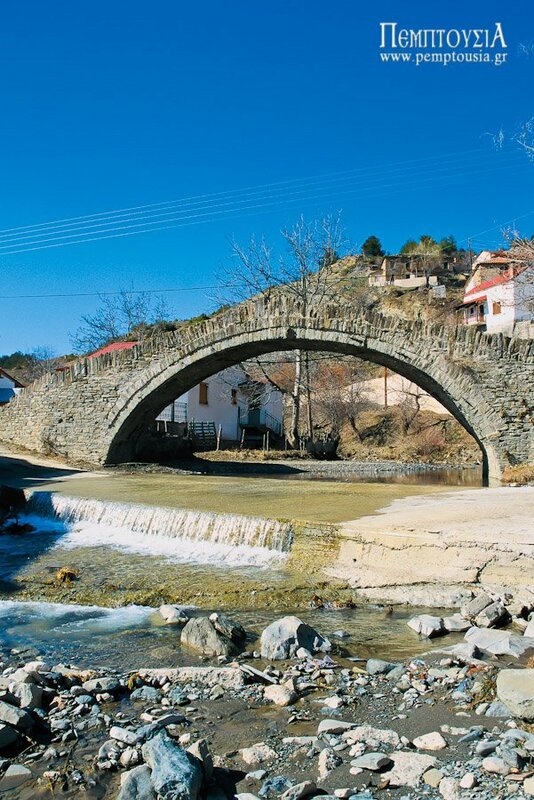 The Aziz Aga bridge is close to the village of Trikomo. 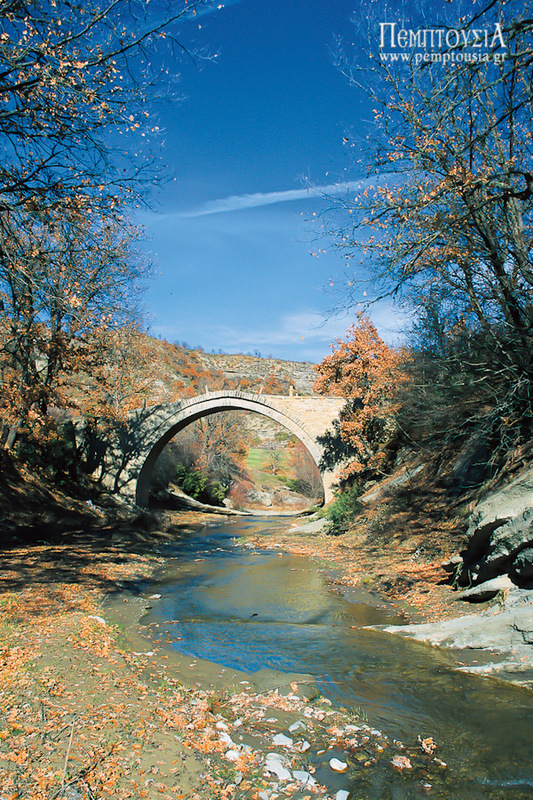 Another view of the famous bridge of Aziz Aga. 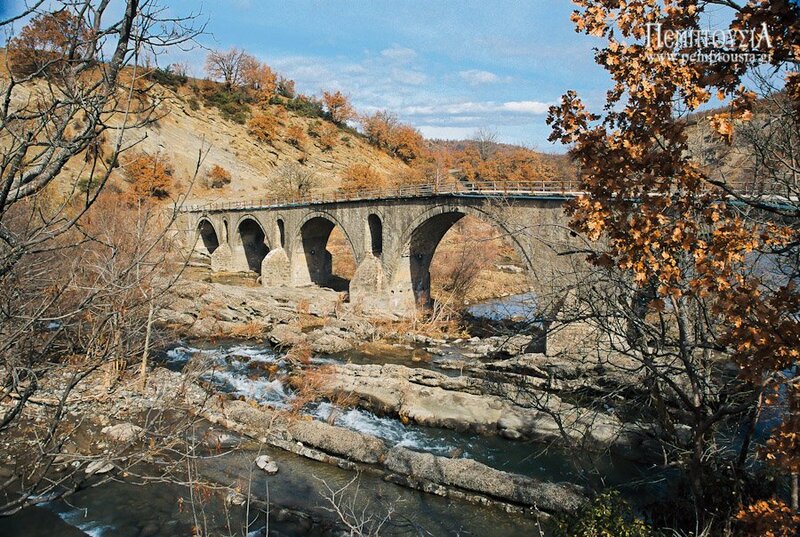 The bridge of Aziz Aga, which was built in 1727 and is 70 metres long and 15 high. 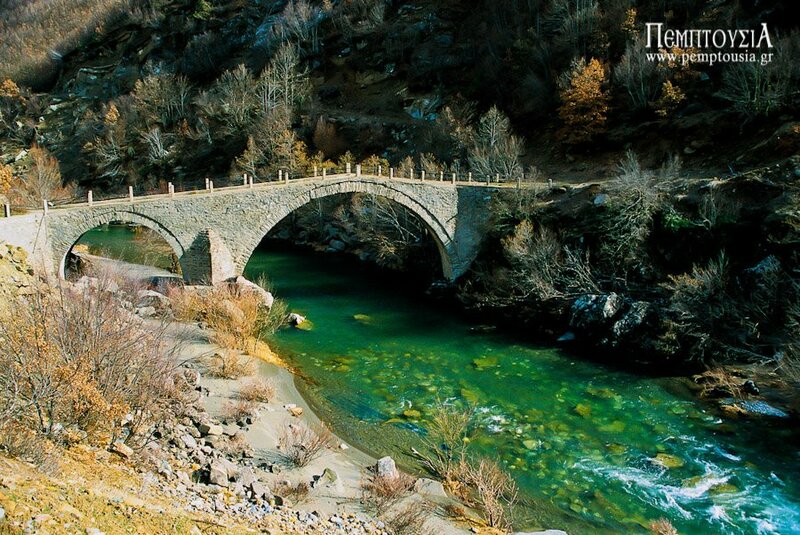 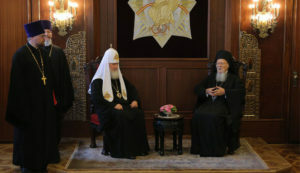 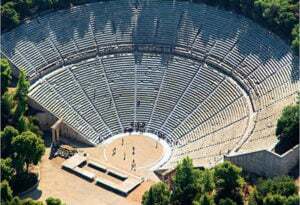 It has the highest span in Macedonia. 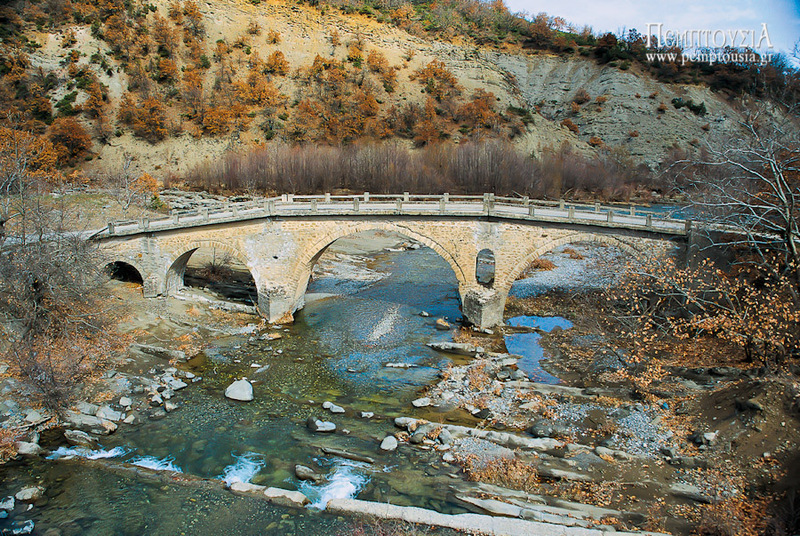 The bridge of Mustafa Spanu. 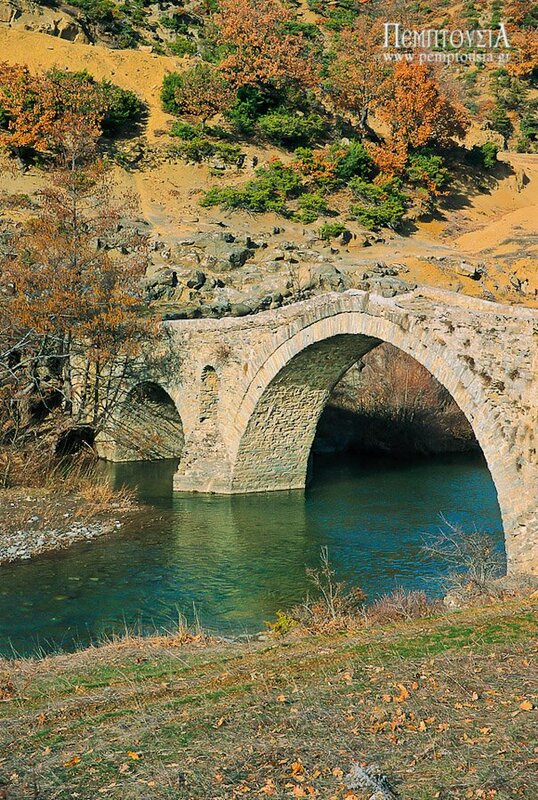 The bridge of Aspropotamos (the White River). 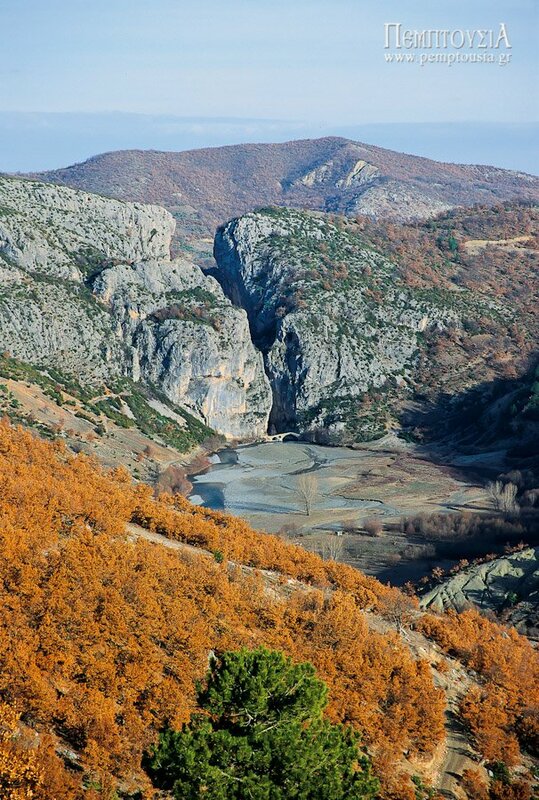 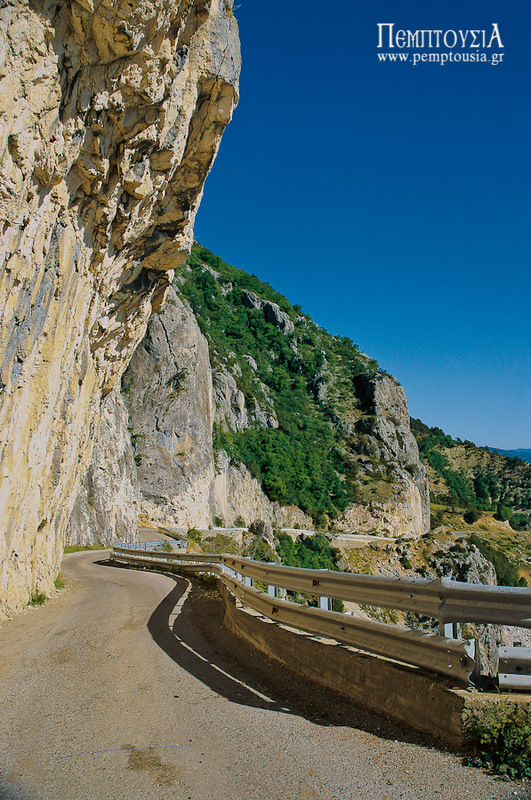 One of the scenic routes in the Prefecture of Grevena (here we have Mount Orliaka). 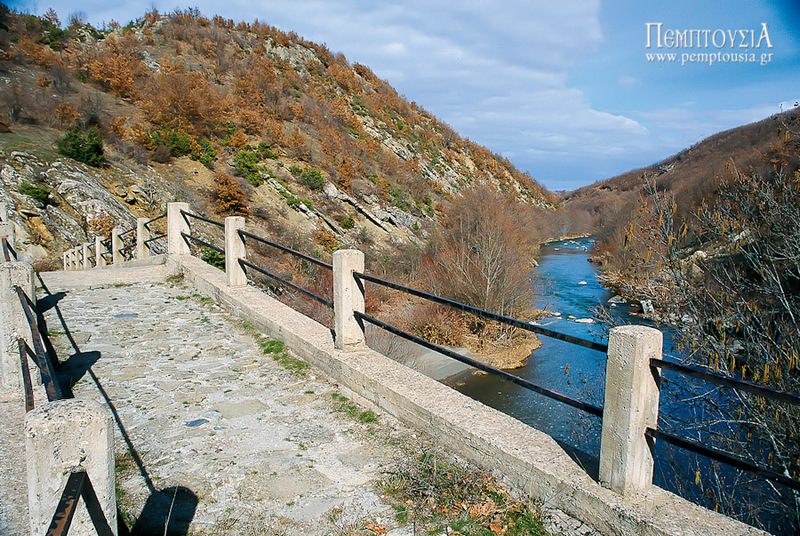 The bridge of Dotsiko is the only one in a town. 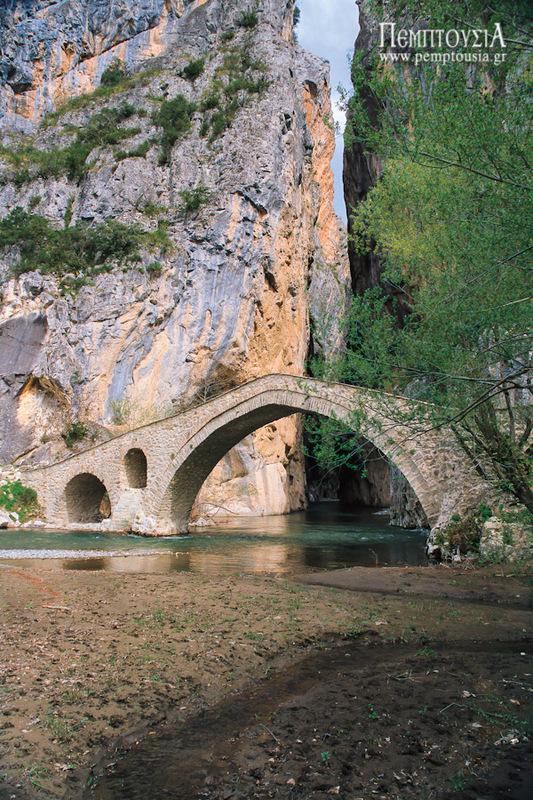 The bridge of Liatissa can be reached only on foot. 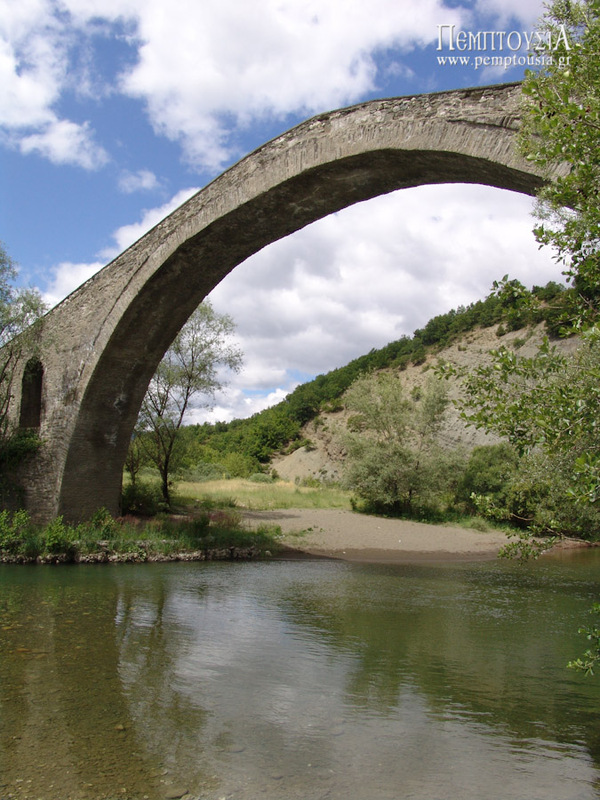 Small and with a single arch, it seems to be hanging over the River Velonia. 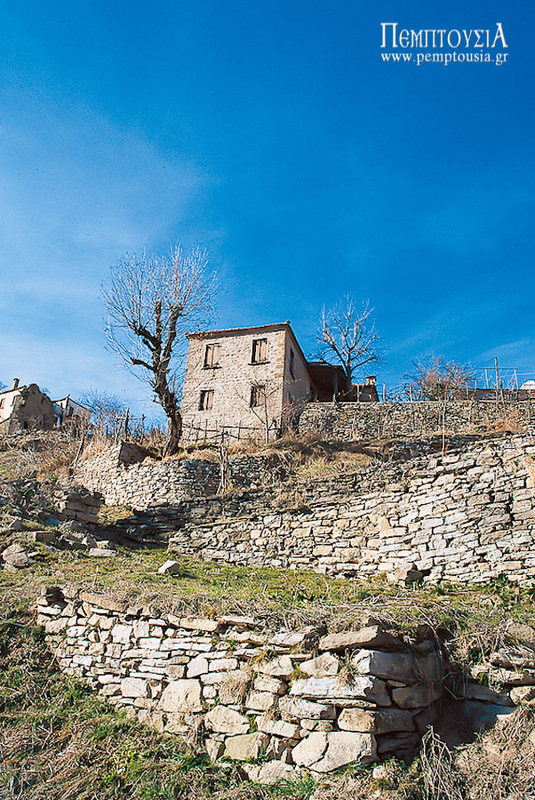 Pictures such as this are evidence of the long tradition of building in stone in Grevena.